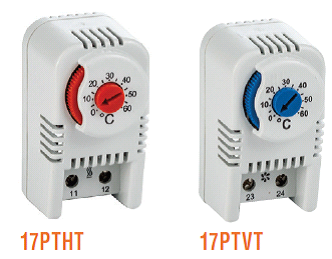 Temperature Controllers For Electrical Housing Applications. 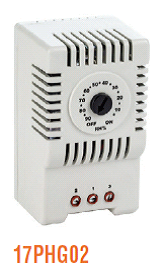 – Click for Enclosure Heaters. – Available with NO or NC contacts. – Bimetal sensor (polyamide sensor on 17PHG02). 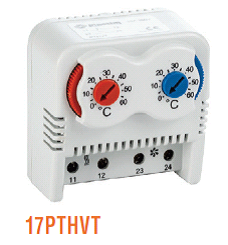 – Operating temperature -45 to +80 degrees Celsius (-10 to +60 degrees Celsius on 17PFHT750). – Contact rating 10A (250VAC).